CATHOLIC GIFT SHOP LTD - Lourdes Holy Water With Sprinkle Top Bottle. Lourdes Holy Water With Sprinkle Top Bottle. Holy water bottle containing Lourdes holy water with the wording "Souvenir De Lourdes"
This bottle measures 4 inch approx. 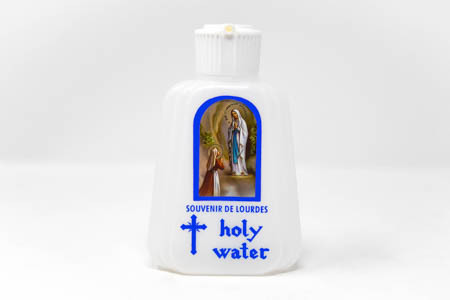 You can be assured this genuine Lourdes holy water is from the grotto.